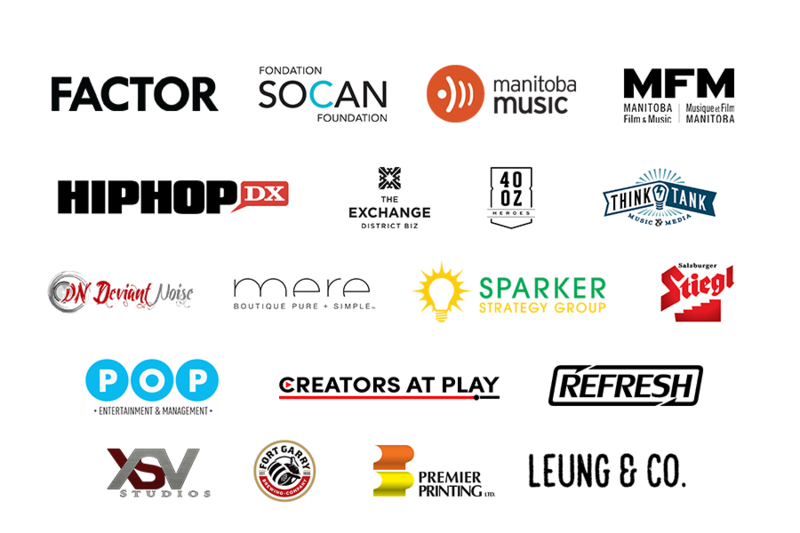 WINNIPEG, MB – From June 29 to July 1, education meets entertainment, as the Northern Touch Music Festival & Conference will invite over 15 international music industry delegates to fill Winnipeg’s Exchange District and watch over 70 showcasing hip hop/R&B/soul acts. Headliners will also join the list of local and international delegates for the music conference that runs in conjunction with the festival as well as networking events such as the Hip-Hop DX mixer in Old Market Square. Michael Redhead Champagne will be your MC for the outdoor stage at The Cube. The conference features panels covering topics such as booking shows, release strategies and marketing, songwriting, production techniques, and more. Connecting acts with business delegates from NPR Tiny Desk, The Current, Hip-Hop DX, Exclaim, Factor, Rhymesayers, Soul Tools, A3C Festival and New Skool Rules. Pauline Leung – Northern Touch Music Festival/Leung & Co. Passes are available on the Northern Touch Music Festival website for the conference and shows. Tickets can be purchased at the door for $10. Priority will go to those with passes. Internationally recognized MC, producer, writer, radio host, arts diplomat, and community organizer Toki Wright brings a unique perspective to education. Wright is a 2x Emmy Award Winner with PBS. Toki co-curated the 2x CLIO Award-winning and Cannes Lion-nominated Watch The Stove mixtape for Hamburger Helper/General Mills (named the biggest viral marketing campaign of the year). Wright has released albums through his imprint Soul Tools Entertainment and Rhymesayers Entertainment charting top 50 on MTV, iTunes, and more. Toki has performed at events like Coachella, Rock The Bells and many more. He has toured with the likes of Evidence of Dilated Peoples, Brother Ali, Atmosphere, the late Sean Price and J-Live. Wright has released recordings with Talib Kweli, BJ The Chicago Kid, Caroline Smith, P.O.S., G Yamazawa and more. Dai Burger is a rapper / singer from Queens, New York – best known for her 2014 Mixtape IN YA MOUF’which consisted primarily of Jersey Club and Bass music and featured her celebrated track Soufflé. Dai’s cavalier attitude towards sexuality has made her a champion of NYC gay community, earning her features in Pitchfork and the opportunity to play at MoMaPS1 alongside her partner-in-crime and longtime friend Junglepussy. In 2015, UK grime kingpin and frequent Danny Brown collaborator, Darq E Freaker tapped Dai for a feature on his single Choppin Necks, further garnering her support from a wide array of electronic music communities. Before creating her own music, Dai toured with Chris Brown and Lil Mama as a backup dancer, allowing her to heavily incorporate dance into her live show. Brittany Lynch is DJ, poet, and entrepreneur who fiercely advocates for artists in communities of color. Her work exists at the intersections of media, art, social justice, and community healing. She was named a “Rising Star” by WCCO’s Urban Perspectives and one of 5 “Influential Young Black Leaders” by The Star Tribune. She’s a radio host on KFAI FM Radio, where she hosts the Wake Up Call on weekday mornings and Soul Tools Radio on Saturday evenings. Brittany is affectionately known as DJ Miss Brit when she’s behind the 1s and 2s, and is the curator and DJ for the Icehouse residency called “The Feels.” She’s the official tour DJ for international hip hop artist Toki Wright, and is one of the founding members of the MN Open Decks DJ Collective. DJ Miss Brit has opened up for singer V. Bozeman (Empire), Salt-N-Pepa, Dave Koz, Rick Braun, Kenny Lattimore, and many more as a DJ and host. 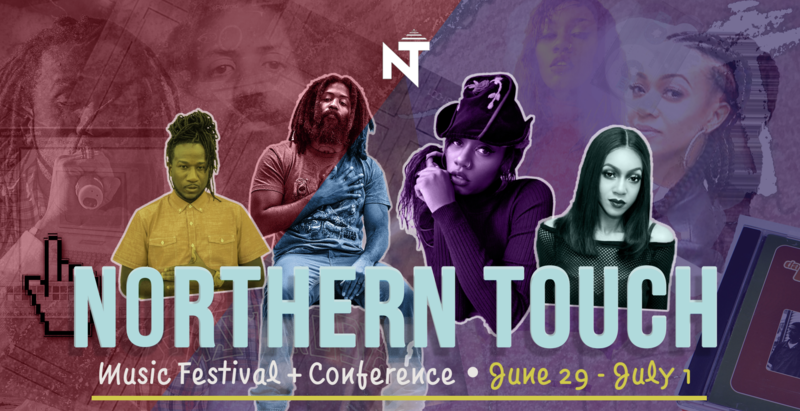 The Northern Touch Music Festival was created in the same spirit that helped Canadian hip hop/R&B/soul become what it is today. We pay homage to the Rascalz and the Northern Touch Allstars, pioneers of Canadian hip hop, and try to reflect the same mentality and mandate used in the past, to grow the industry in the future. We are here to stand as an equal voice for Canadian hip hop, soul, and R&B providing education alongside direct opportunities. We are a non-profit organization and rely on the support of partners and sponsors to help us incubate our music industry. While hip hop is the most popular genre in the world, it remains underserved in Canada. We’re strengthening our talent; enabling artists to thrive within and outside our borders. Thank you to our funders, sponsors and supporters!